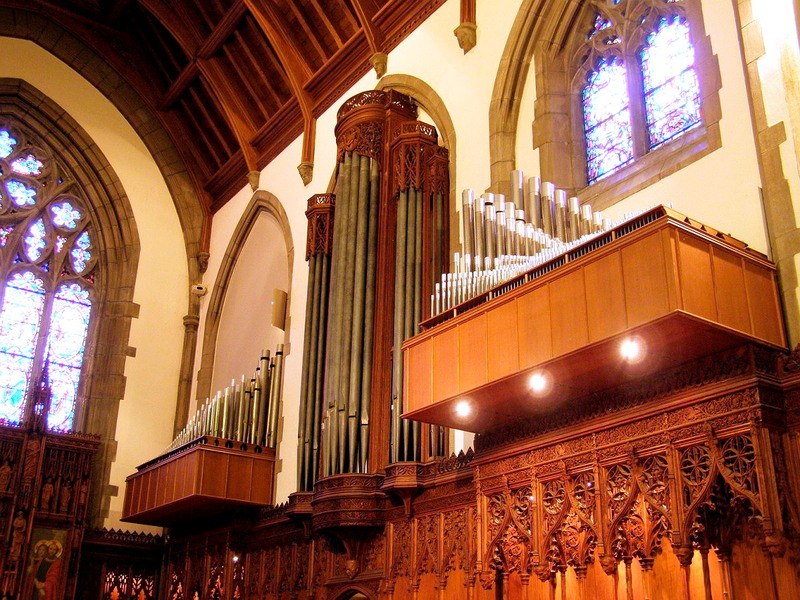 (submitted) St. Michael’s magnificent pipe organ has 2,221 pipes and was built by Quimby Pipe Organs. Organist Daniel Scifo will present an organ recital at St. Michael’s on Sunday, February 1, beginning at 12pm. LITCHFIELD – St. Michael’s Parish will present an organ recital by organist Daniel Scifo on Sunday, February 1, beginning at 12pm. Mr. Scifo will be playing works by Josef Rheinberger, Bach, French composer Louis Vierne, and Herbert Howells, an English composer most famous for his large output of Anglican Church music. He has selected works that are his personal favorites to play on St. Michael’s magnificent pipe organ which has 2,221 pipes and was built by Quimby Pipe Organs. Mr. Scifo has served as organist/choirmaster in Episcopal cathedrals in Main, Rhode Island, Albany and New York City and was previously organist at St. Michael’s-Litchfield. Mr. Scifo currently serves as the Organist at Christ Episcopal Church and the Taft School, both in Watertown, where he has been integral to the ongoing restoration of their Gress-Miles pipe organ. He studied music education at Central Connecticut State College and studied organ playing with Claude O. Means at Trinity Church-Torrington and John Holtz at the Hartt School of Music. He has participated in organ and vocal recitals throughout the northeastern United States and England. He also sings tenor and counter-tenor with Cantus Excelsus, a semi-professional vocal ensemble associated with Christ Church and the Taft School, and with a quartet that made its debut in the natural acoustic environment of the train tunnel on the Shepaug Railroad Trail in Steep Rock Nature Preserve. The recital is open to the public with a suggested donation of $20 to benefit St. Michael’s music program. All are welcome to the recital and a meet-the-artist reception that will follow. St. Michael’s Parish is located at 25 South Street (Route 63), just off the Litchfield green. For more information, the number to call is 860.567.9465. The 100 Acre Woods visits Thomaston!